“Water problem is one of serious issues in Vietnam. We know that safe water is very important to children, however, we are unable to have a total solution and resolve this problem by schools due to our financial limitations. ** Jack is the fake name due to the privacy and safety of individuals is respected. In order to offer clean water to children as soon as we could, we did keep our schedule to deliver the Water Purifier System on time. However, we still monitor and inspect the system periodically. We work with schools and vendors to improve the system continually, such as pipe connection problem. We’ve learned that the system maintenance is also important to ensure the quality of drinking water. 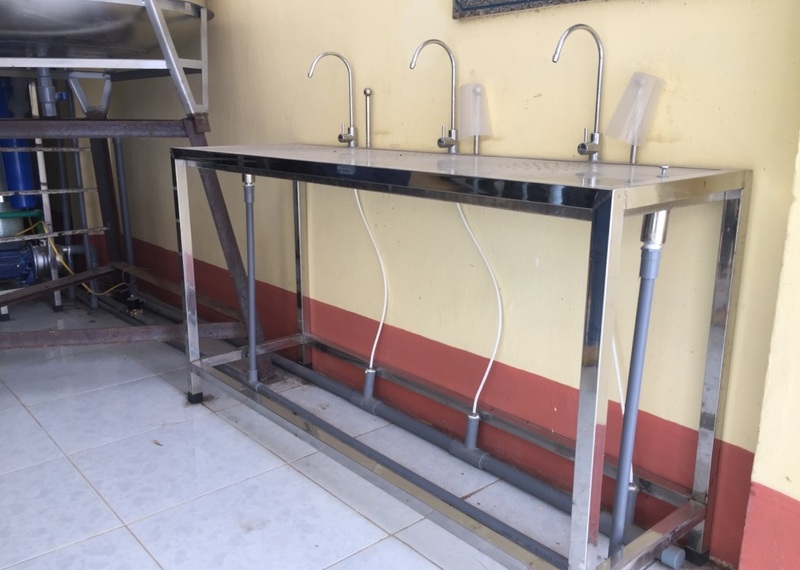 With limited resources on hands, we now could only provide water purifier systems for two schools even we know that there are still many schools waiting for water purifier systems. I would like to invite you to join us and share the project information to more people you know. Let’s work together to benefit more children and provide them the basic needs of clean water. It’s great to see we have moved a bit forward and we are going to make more impact on children with you together.